bpost Belgium OC 2.2.0.0! NOT FOR OC 2.1.x or previous versions ! Features: Shipping posibilities within the&nb..
bpost Belgium OC 2.3.0.2 ! NOT FOR OC 2.2.0.0 or previous versions ! Features: Shipping posibilities withi..
bpost Belgium OC 2.x ! NOT FOR OC 2.2.0.0 or later versions ! 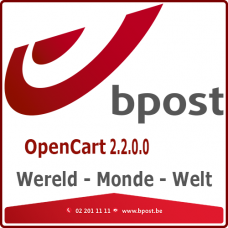 Features: Shipping posibilities within the B..
bpost World OC 2.2.0.0! NOT FOR OC 2.1.x or previous versions ! Features: National Shipping posibilities: S..
bpost World OC 2.3.0.2 ! NOT FOR OC 2.2.0.0 or previous versions ! Features: National Shipping posibiliti..
bpost World OC 2.x ! NOT FOR OC 2.2.0.0 or later versions ! 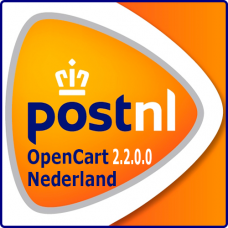 Features: National Shipping posibilities: Standard: (Bpack)..
PostNL Nederland OC 2.2.0.0 ! NOT FOR OC 2.1.x or previous versions !Features: Shipping posibilities within the Netherlands only: ..
PostNL Nederland OC 2.3.0.2 ! NOT FOR OC 2.2.0.0 or previous versions ! Features: Shipping posibilities within the Netherlands only:&n..
PostNL Nederland OC 2.x ! NOT FOR OC 2.2.0.0 or later versions ! Features: Shipping posibilities within the Nether..
PostNL World OC 2.2.0.0 ! NOT FOR OC 2.1.x or previous versions ! Features: Worldwide Shipping posibilities: Letter,..
PostNL World OC 2.3.0.2 ! NOT FOR OC 2.2.0.0 or previous versions ! Features: Worldwide Shipping posibilities: L..
PostNL World OC 2.x ! NOT FOR OC 2.2.0.0 or later versions!Features: Worldwide Shipping posibilities: Letter,&..
Technical Theme: Chemistry for OC 2.x With static blue print background.Demo: Demo front end: demo.tech.paibkk.comAdmin side: ..
Thailand Post: Airmail OC2.2.0.0 ! NOT FOR OC 2.1.x or previous versions ! 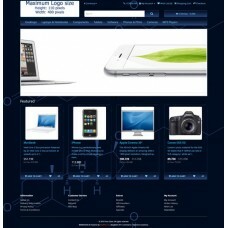 Features: Shipping with: Airmail Lan..
Thailand Post: Airmail OC2.3.0.2 ! NOT FOR OC 2.2.0.0 or previous versions ! 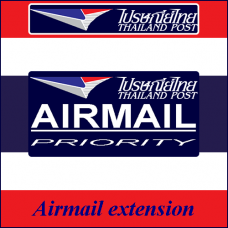 Features: Shipping with: Airmail Languag..
Thailand Post: Airmail OC2.x ! NOT FOR OC 2.2.0.0 or later ! Features: Shipping with: Airmail Languages: Suppor..
Thailand Post: Economy Air / SAL + Airmail + EMS WORLD OC2.2.0.0 ! NOT FOR OC 2.1.x or previous versions ! Features: Shipping with: ..
Thailand Post: Economy Air / SAL + Airmail + EMS WORLD OC2.3.0.2 ! NOT FOR OC 2.2.0.0 or previous versions ! 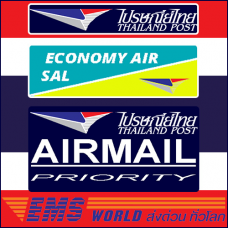 Features: Shipping with..
Thailand Post: Economy Air / SAL + Airmail + EMS WORLD OC2.x ! NOT FOR OC 2.2.0.0 or later ! 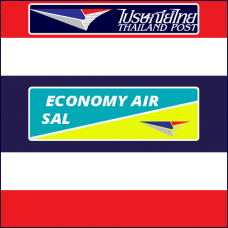 Features: Shipping with: Economy A..
Thailand Post: Economy Air / SAL OC2.2.0.0 ! NOT FOR OC 2.1.x or previous versions ! Features: Shipping with: Economy Air..
Thailand Post: Economy Air / SAL OC2.3.0.2 ! NOT FOR OC 2.2.0.0 or previous versions ! 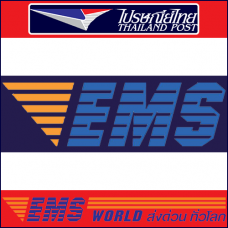 Features: Shipping with EMS Worldwid..
Thailand Post: Economy Air / SAL OC2.x ! NOT FOR OC 2.2.0.0 or later ! Features: Shipping with EMS Worldwide. Languag..
Thailand Post: EMS THAILAND OC2.2.0.0 ! NOT FOR OC 2.1.x or previous versions ! Features: Shipping with EMS within Thailand. &nb..
Thailand Post: EMS THAILAND OC2.3.0.2 ! NOT FOR OC 2.2.0.0 or previous versions ! Features: Shipping with EMS within Th..
Thailand Post: EMS THAILAND OC2.x ! NOT FOR OC 2.2.0.0 or later ! Features: Shipping with EMS within Thailand. Languages &n..
Thailand Post: EMS WORLD OC2.2.0.0 ! NOT FOR OC 2.1.x or previous versions !Features: Shipping with EMS Worldwide. Languages: &..
Thailand Post: EMS WORLD OC2.3.0.2 ! NOT FOR OC 2.2.0.0 or previous versions ! Features:Shipping with EMS Worldwide. ..
Thailand Post: EMS WORLD OC2.x ! NOT FOR OC 2.2.0.0 or later ! Features: Shipping with EMS Worldwide. Languages:..
Thailand Post: Int'l Parcel Surface OC2.2.0.0 ! NOT FOR OC 2.1.x or previous versions ! 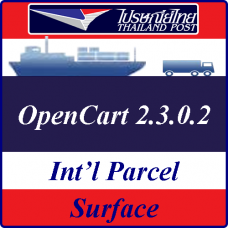 Features: Shipping with: Thailand ..
Thailand Post: Int'l Parcel Surface OC2.3.0.2 ! NOT FOR OC 2.2.0.0 or previous versions ! 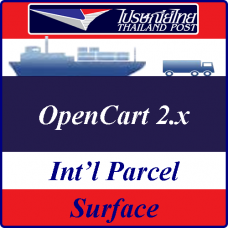 Features: Shipping with: Thailand Po..
Thailand Post: Int'l Parcel Surface OC2.x ! NOT FOR OC 2.2.0.0 or later ! Features: Shipping with: Thailand Post Int'l Par..
Thailand Post: Int'l Small Packet Air OC2.2.0.0 ! NOT FOR OC 2.1.x or previous versions ! Features: Shipping with: &nb..
Thailand Post: Int'l Small Packet Air OC2.3.0.2 ! NOT FOR OC 2.2.0.0 or previous versions ! Features: Shipping with: T..
Thailand Post: Int'l Small Packet Air OC2.x ! NOT FOR OC 2.2.0.0 or later ! Features: Shipping with: Thailand Post In..
Thailand Post: Int'l Small Packet Economy Air (SAL) OC2.2.0.0 ! NOT FOR OC 2.1.x or previous versions ! Features: Ship..
Thailand Post: Int'l Small Packet Economy Air (SAL) OC2.3.0.2 ! NOT FOR OC 2.2.0.0 or previous versions ! Features: Shipping..
Thailand Post: Int'l Small Packet Economy Air (SAL) OC2.x ! NOT FOR OC 2.2.0.0 or later ! Features: Shipping with: Th..
Thailand Post: Int'l Small Packet Surface OC2.2.0.0 ! NOT FOR OC 2.1.x or previous versions ! 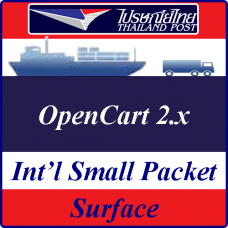 Features: Shipping with: &nbs..
Thailand Post: Int'l Small Packet Surface OC2.3.0.2 ! NOT FOR OC 2.2.0.0 or previous versions ! Features: Shipping with: &nb..
Thailand Post: Int'l Small Packet Surface OC2.x ! NOT FOR OC 2.2.0.0 or later ! Features: Shipping with: Thailand Pos..